Aberdeen University invited Therapets to help students destress ahead of exam time. Students at an Aberdeen University have been relaxing with puppies and pizza as part of a campaign to alleviate stress during revision week. 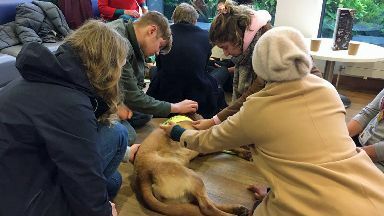 On Wednesday, Aberdeen University Students' Association (AUSA) welcomed Therapets from Canine Concern Scotland Trust for students to enjoy cuddles with a fluffy companion. The event, named Dogs and Dominos, aims to provide students with a safe space where they can spend time with the dogs and enjoy some free pizza from Dominos Aberdeen. 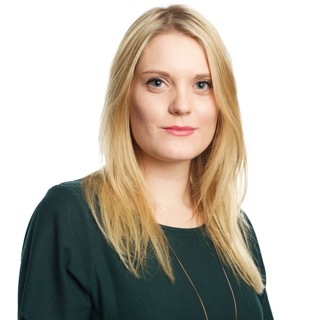 "As part of our AUSA Advice service we aim to provide students with help and resources year round that will enable them to enjoy the student and study experience in a healthy and stress-free way," explains Emily Norton, AUSA Advice. "These events are just one of the ways in which we do that." Part of the university was transformed as students cuddled dachshunds, fed treats to spaniels and played with Labradors. John Bowman, who brought English springer spaniel Murphy along to the event believes therapet sessions can help students who miss their pets back home. 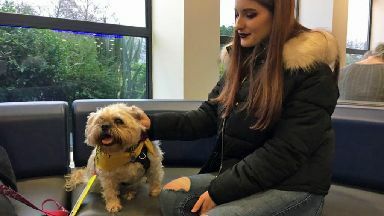 "It's coming up to exam time and I think a lot of the students can get quite stressed, they've been away from home for a while and their best pal their dog has been left behind," he says. "What we're doing is giving people the opportunity to meet a dog, to make a fuss of him. "It's not quite the same as being at home, we know that, but dogs are not judgemental, they like you for what you are and so it works very well for the dog and it works well for the students as well." Student Emil Kalliala says that these type of events show the university is looking out for the welfare of its student body. "I think it's nice that the university is setting up these kind of events for students to destress. I think it shows that they consider what we have this time of year," he says. "The dogs are just super friendly, they're really calm and they let you pet them and it's great." Fellow student Sonja Susanna adds: "I'm not feeling too stressed about my exams but I love dogs so it's nice to get my mind off of studying for a while."